LEYTE is rich in history and culture with a number of attractions both natural and man-made. It figured in the Pacific campaign during World War II as US Army Gen. Douglas MacArthur staged his historic return to the Philippines, anchored on his “I shall return” promise, at Red Beach in Palo, Leyte. It is also the home province of the Romualdez family whose most famous member, Imelda Romualdez Marcos, became the first lady of the Philippines from 1965 until the Marcos family’s ouster in 1986. 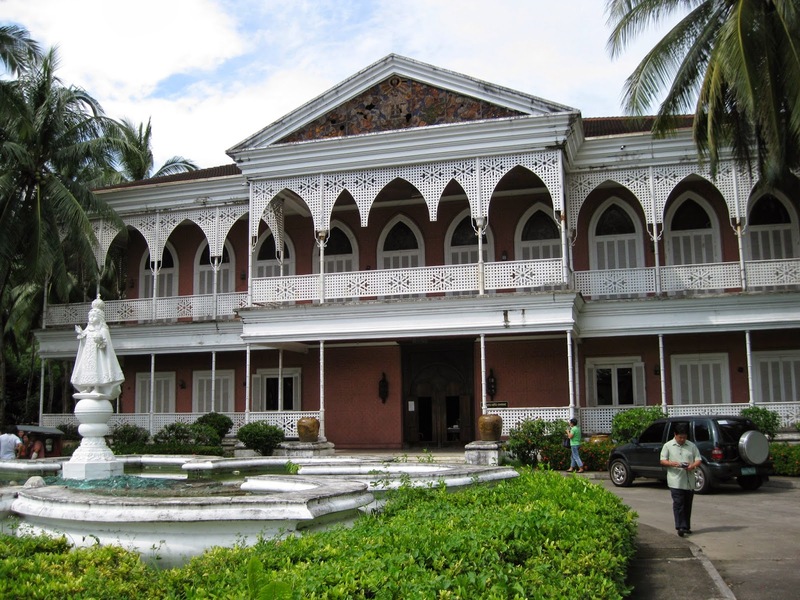 Leyte boasts of a number of heritage destinations ranging from Spanish-era churches to ancestral homes. Its attractions include also include white-sand beaches and an engineering marvel bridging the province and neighboring Samar. Though it lacks the splendor of its years under the Marcos administration, the Santo Niño Shrine and Heritage Museum (Real Street, in the capital city of Tacloban) continues to be popular among tourists (yes, despite the rather prohibitive P300 entrance fee!). Initially constructed as a resthouse for the Marcos family, it serves as a reminder of the wealth and luxury that had been enjoyed by the family, amid the immense poverty of the majority of the population. The shrine-museum is a repository of the antique Chinese jars, paintings by celebrated local artists, Italian art pieces, English and French period furniture, among others. It features a chapel on the ground floor with the Infant Child Jesus rendered in ivory as focal point, and 13 guest rooms representing the various regions of the country. On the second floor are the bedrooms and living area of the Marcos family. Used in the construction of this once-glorious palatial home were mostly local indigenous materials. 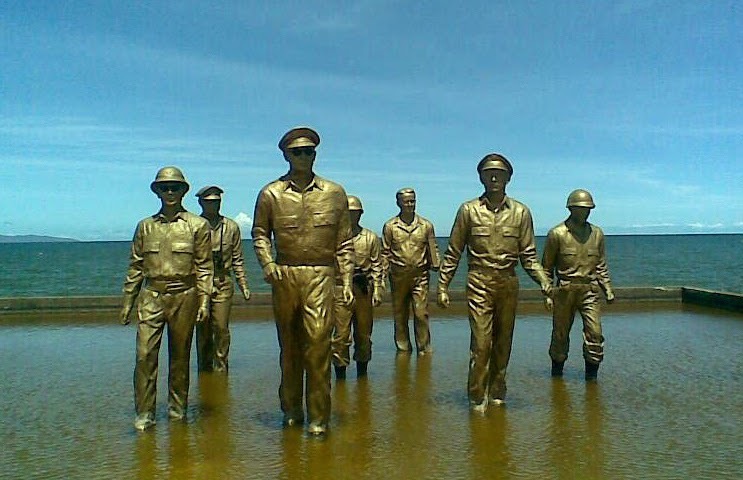 History buffs may also want to visit the iconic Leyte Landing Memorial at Red Beach (Barangay Candahug, Palo), supposed to be the exact spot where MacArthur waded ashore with a landing party that included President Sergio Osmeña Jr. and Philippine diplomat Carlos P. Romulo, on October 20, 1944. As commander of the Allied Forces in the Pacific during World War II, the American general fulfilled his promise to return to the Philippines, as the Allied Forces effectively defeated the Japanese occupiers. Another historic site is Limasawa Island in southern Leyte, where Portugese explorer Ferdinand Magellan was said to have landed in 1521, and where the first Catholic Mass in Asia was first celebrated (Barangay Magallanes) one Easter. Remnants of the first cross planted in the country are on a hill that can be reached by scaling 450 steps. 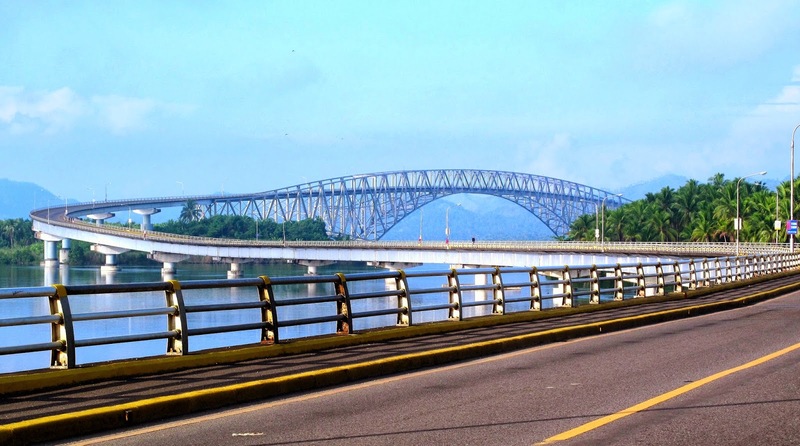 The San Juanico Bridge, which connects Leyte with the province of Samar, is the longest bridge in the country over sea water, in this case, the San Juanico Strait. The main portion of the bridge is an arc-shaped truss. Traveling over the bridge offers magnificent views of the sparkling strait with a few islets in the distance. Heritage tour. With Spanish colonization and Christianization of the Philippines having started in Leyte, it’s no wonder it has a number of Spanish-era churches and schools, or at least what remains of these structures. In the town of Baybay, American-style colonial homes still stand along Mabini Street (also called Heritage Street) and are still used as residences. Nearby is the Our Lady of the Immaculate Conception Church, done in the usual Spanish earthquake baroque style, completed in 1870. Another heritage site is the Our Lady of Assumption Parish Church in Tanauan, constructed in 1595 and is one of the oldest churches in the country. Then there are the ruins of a Jesuit seminary and a brick church in Dulag, a town which claims to be the actual site where MacArthur landed on his return to the Philippines. In the town of Carigara are ruins of another Jesuit Church built in the 16th century, now standing amid a plaza built in 1995, as well as an ancestral home supported with posts outside, thus called Balay nga Gawas It Harigi. In Hilongos are remnants of an old fort and Spanish-era church—in Leyte, most of the churches had fortresses built around them to protect them from marauding Moro pirates. The remaining portions of the old church now form part of the structure of the present-day Our Lady of the Immaculate Conception Church. Jazz and foodie haven. Who would’ve thought that in this far-away province, jazz music would be much appreciated by local folk? At Julio’s Buffet and Jazz Joint (T# 053-325-8808) along P. Paterno Street in Tacloban, jazz musicians like Awit awardee Noli Aurillo play acoustic guitar there regularly. Ocho Seafood and Grill (Senator Enage Street, T# 053-325-4171 or 523-3220) serves its food dampa-style. Freshly caught seafood are displayed and all diners have to do is point to what they want and have the seafood cooked in their preferred manner. Popular among diners as well are the oyster adobo and crispy salmon skin. Local delicacies that should be tried or brought home as pasalubong are the binagol, made from a gabi-like root crop, coconut milk and sugar and steamed inside a coconut shell (bagol), and the moron, which is a suman (glutinous rice cake wrapped in palm leaves) made from cocoa or tablea, thus its chocolatey taste. You can buy these at any of the public markets. The lechon (roasted pig) is also a popular dish in Leyte, which is dipped in garlic and vinegar, instead of liver sauce. Try it at Timo Romano Lechon in Barangay 60, Sagkahan, along Real Street in Tacloban (053-325-5929). The Go Hotel in Tacloban is a good bet for budget travelers. It has a great location as it is adjacent to a mall. The rooms are really small, but have comfortable beds and a really strong shower. (For reservations, click http://www.gohotels.ph/tacloban). Getting there: PAL Express and Cebu Pacific fly to Tacloban from Manila and Cebu, while Zest Airways and Seair fly from Manila. Check the carriers’ respective web sites for schedules.